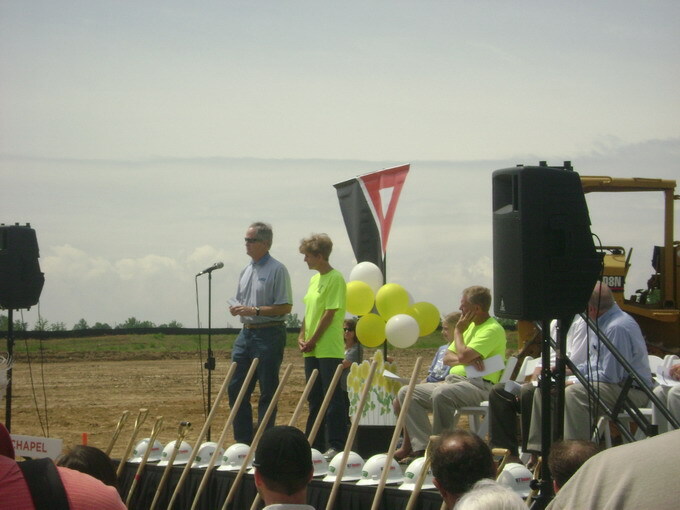 On Saturday April 24th, the first shovels hit the ground for the long-awaited ground breaking ceremony. David & Jo Clark’s dreams finally became reality. After years of planning and numerous donations, the Denver community is step closer to the Y and the facility is anticipated to open the doors January 2011. Sally’s Y is named after Sally McKenzie Clark, who died in a tragic car accident along with her cousin, Anna Grace Jordan, on April 4th 2004. Sally and Grace were only 19 when a drunk driver took their precious lives. David and Jo Clark , Sally’s parents, thought the YMCA would be a perfect fit to keep the youthful spirit of Sally alive. Sally had the same values as the YMCA, faith & family. This theme will be seen throughout Sally’s Y along with the color yellow & sunflowers. Sally’s favorite flower was the sunflower and it symbolic to happiness, strength, loyalty & faith, just like Sally. Guests were given a packet of sunflowers and children were given plastic hard hats & small shovels as souvenirs of this historic day for the Denver community. 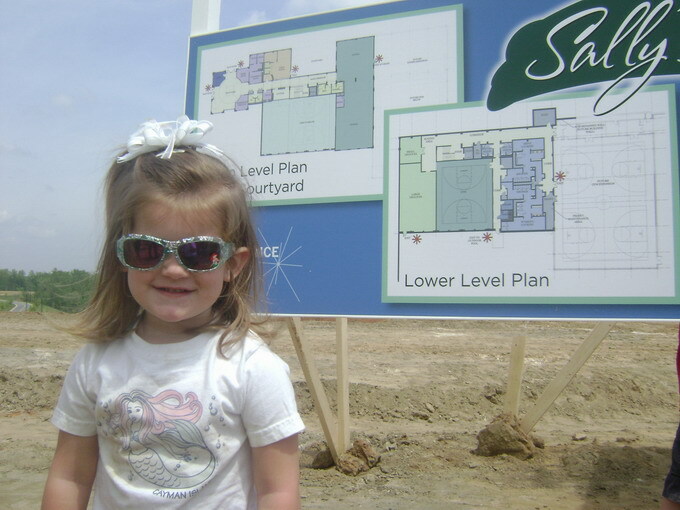 The groundbreaking ceremony took place on the future site of the “Grace Chapel”, named after Sally’s cousin, Anna Grace Jordan. The ceremony included games, inflatables, musical entertainment & refreshments for the family. A fun family event that will be remembered by all that attended for years to come. Additional events took place on Sunday April 25th, Sally’s Y hosted the third annual Ride for Sally’s Y offering bike riders a chance to participate in a 25K, 50K or 100k. New this year, is the Girls on the Run 5K trail run. GOTR program is a non-profit organization that encourages preteen girls to develop self -respect and healthy lifestyles through their love of running. Both are great ways to show your support for Sally’s Y and promote a healthy life at the same time! Proceeds from this event go to Sally’s Y.